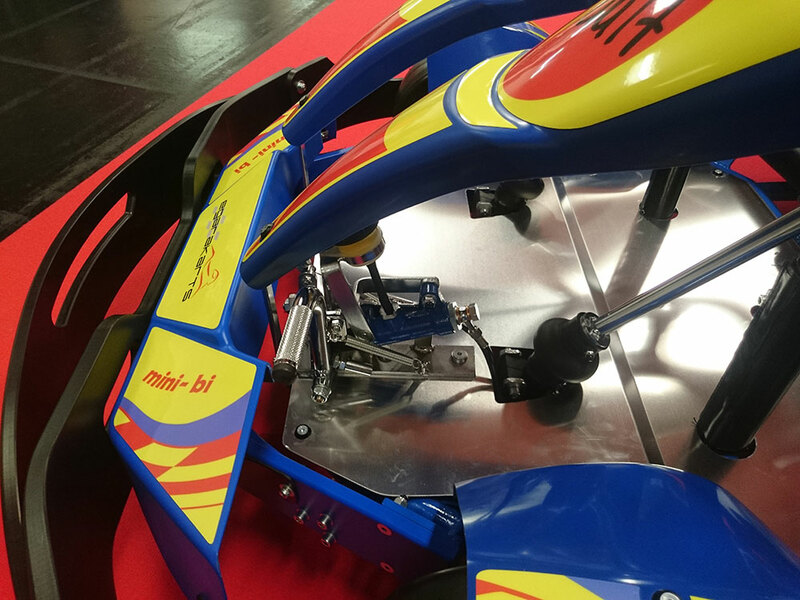 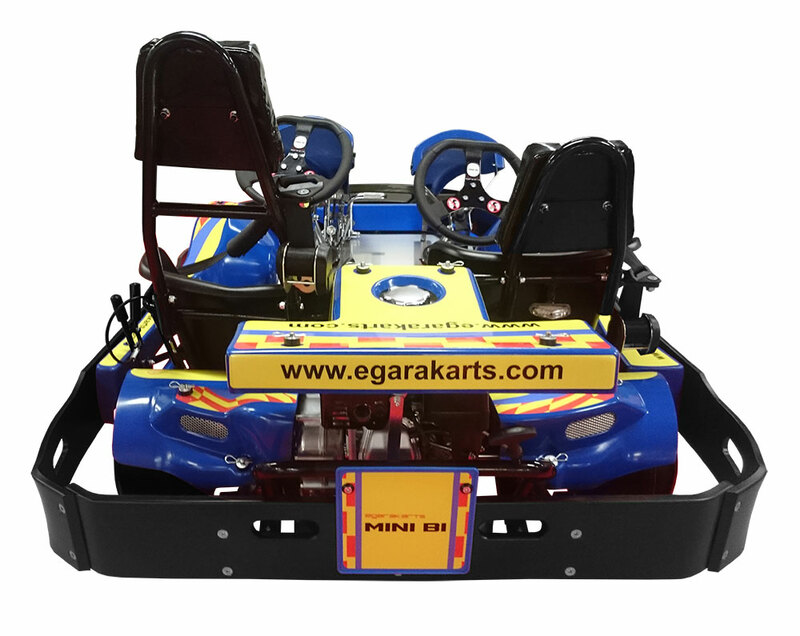 In 2014 EGARAKARTS designed, manufactured and brought to market the MINI-BI go-kart. 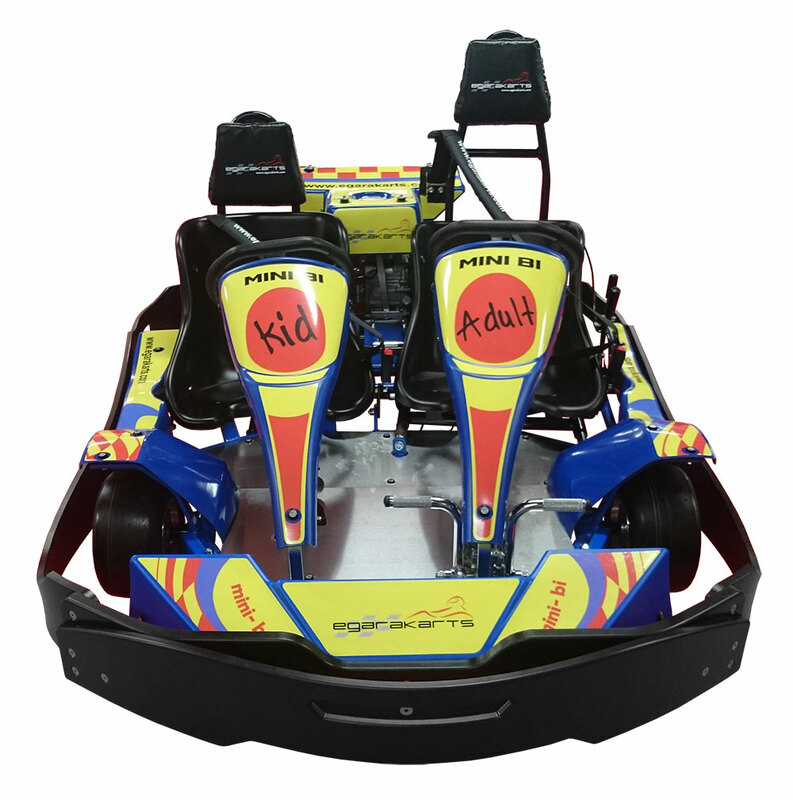 This kart has been designed and adapted specifically for one adult and one child, meeting all the child safety requirements for safe driving. 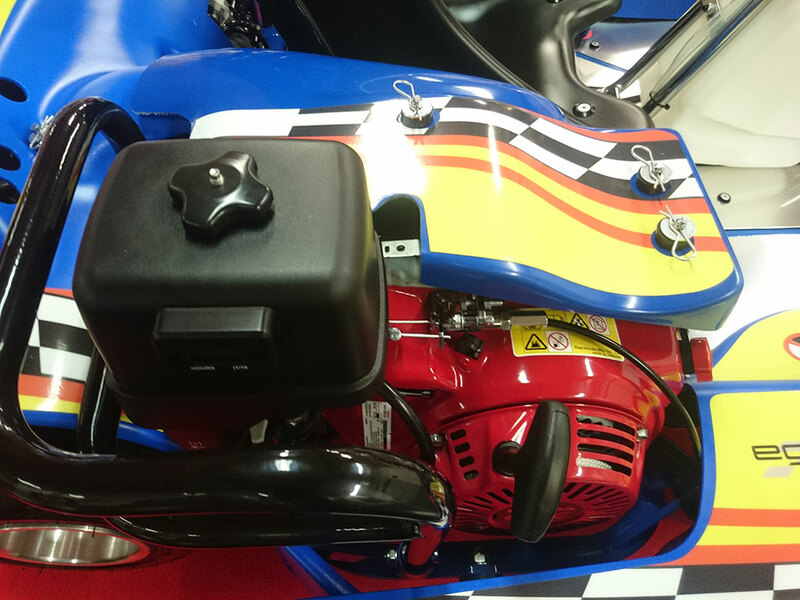 Like its predecessor the SUPER-BI, it has been designed for all kinds of children, such as those who do not want to drive a kart themselves, those whose age or size prevents then from doing so, or simply for teaching them to drive. 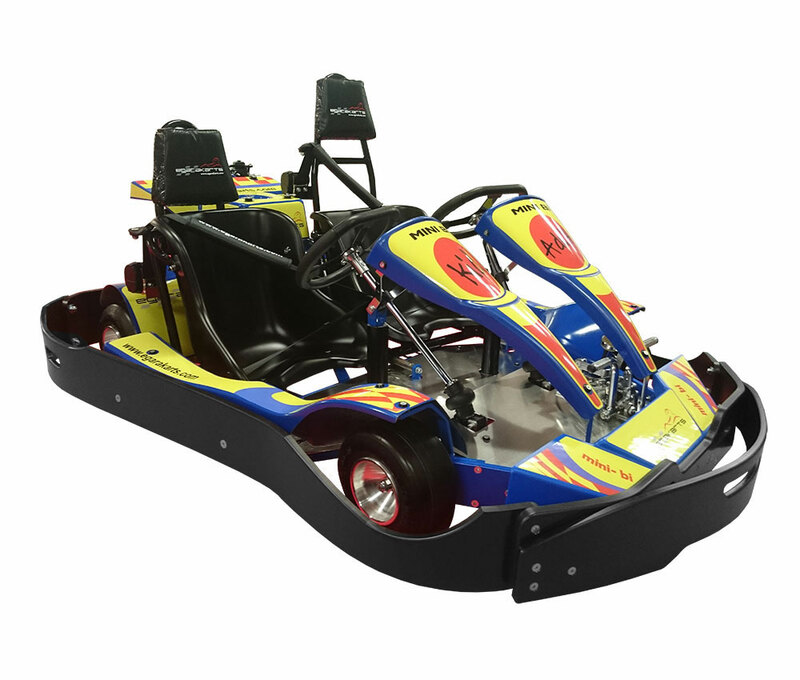 Riding in this kind of go-kart first will give the child more confidence when it comes to driving. 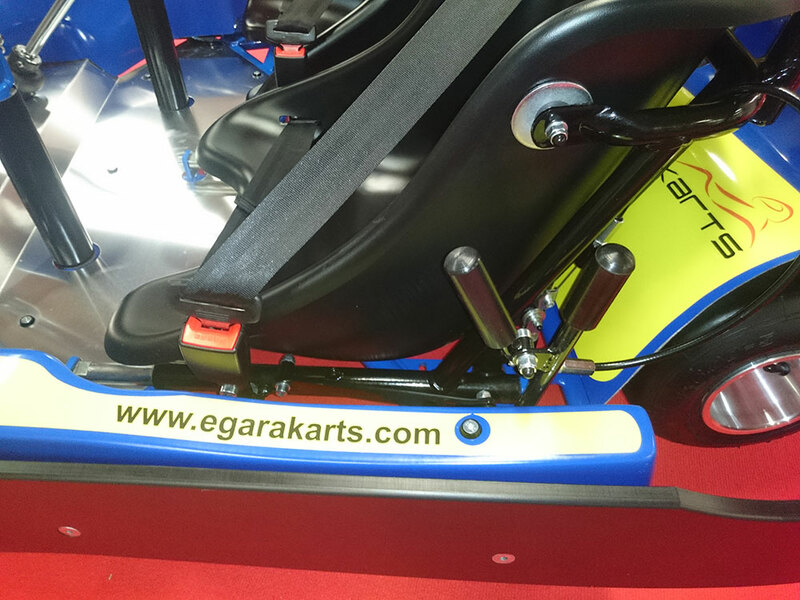 Enjoy the sport with the kids without compromising on safety!